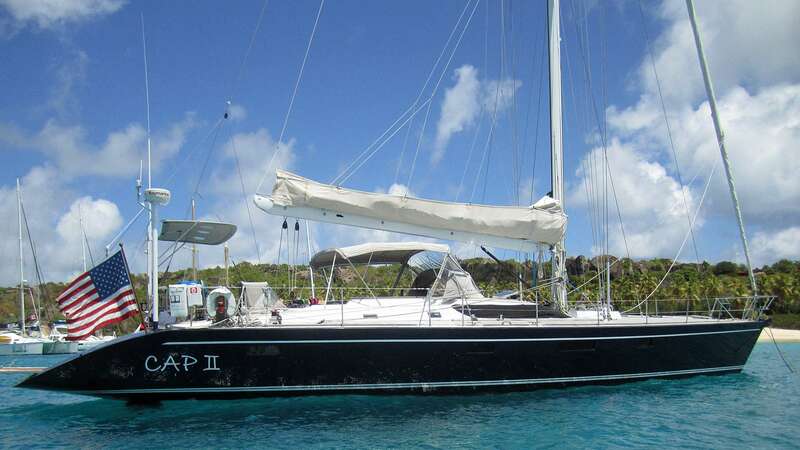 A performance cruiser, CAP II is more than a fantastic sailing yacht; she is luxurious and comfortable, and a joy to be aboard. 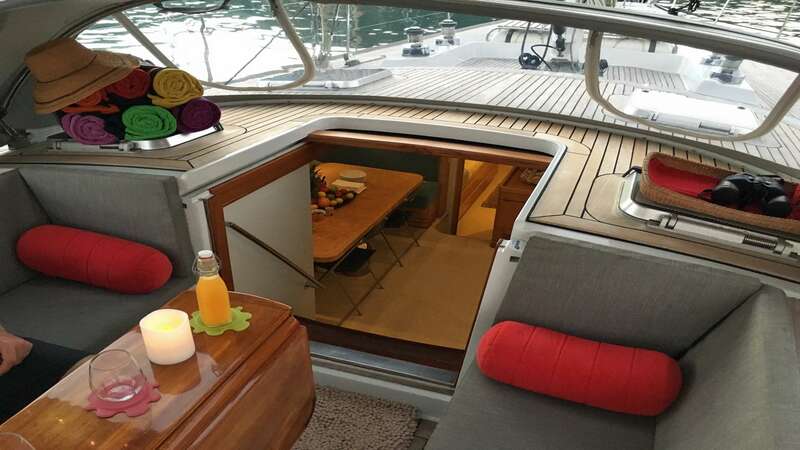 She is operated from her aft cockpit, leaving the center cockpit for her guests to sun, sightsee and enjoy al fresco meals. 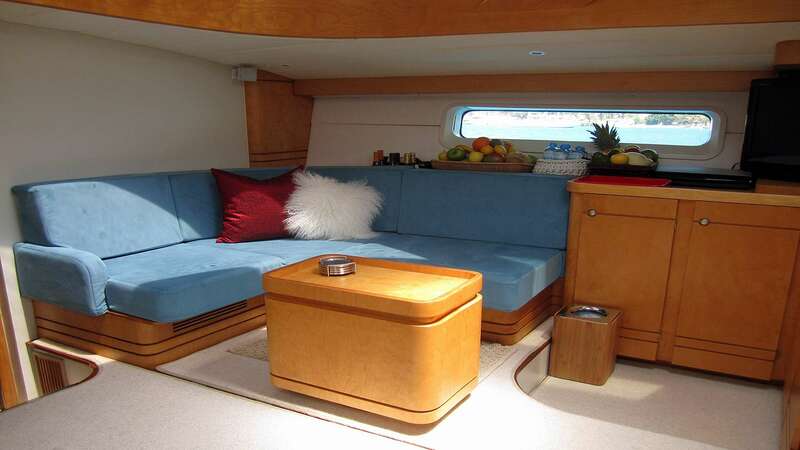 A powerful sailing machine, CAP II is very stable, offering her guests a smooth, comfortable ride. 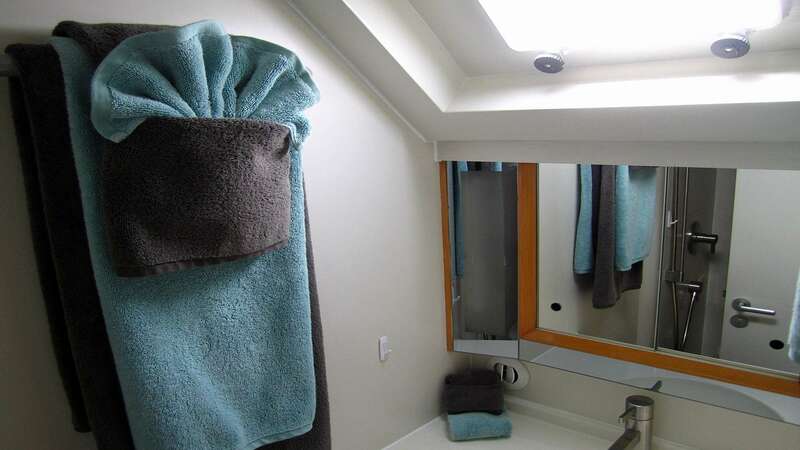 Luxurious cruising accommodations aboard CAP II are for six guests in three well appointed double staterooms with ensuite bathrooms. 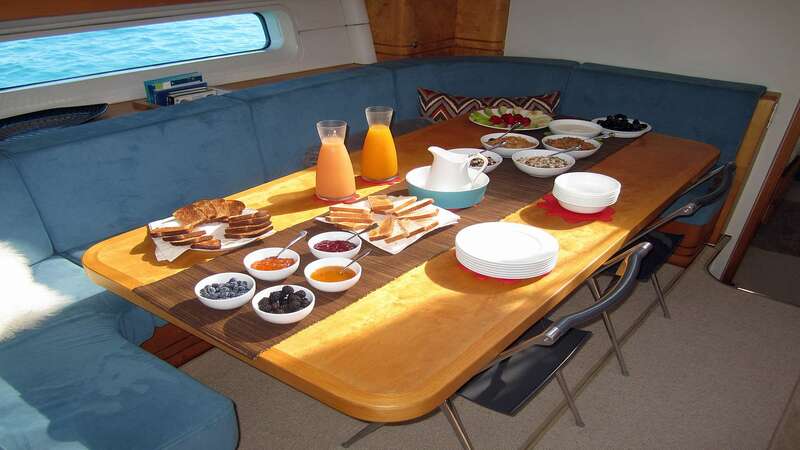 You set the pace and itinerary aboard CAP II; your professional, courteous crew will do the rest. Cap II is not advertised for charters in the US and does not charter in US waters. 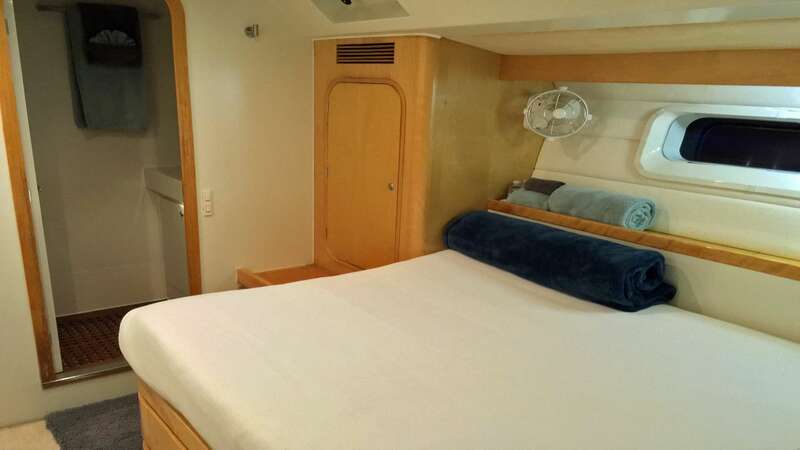 CAP II can accommodate 6 guests in three spacious double cabins (two forward and one midship) each with ensuite heads and cupboard space. 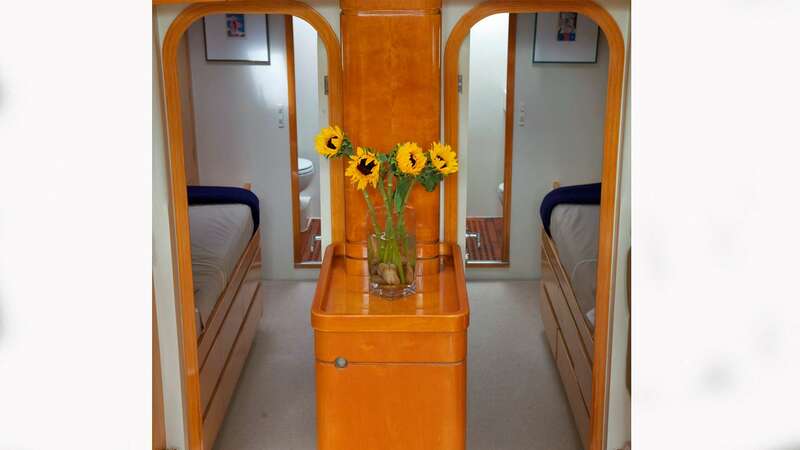 The two forward cabins can be converted into a large master suite due removable dividing wall that can form one large cabin. 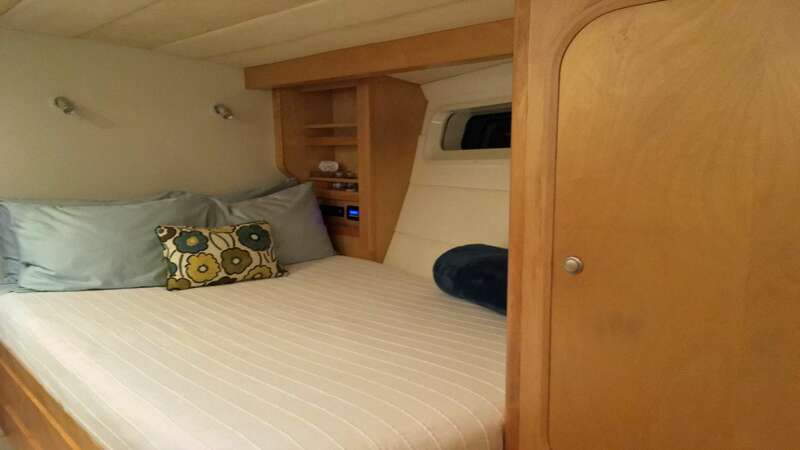 Two forward cabins: 51" wide at head tapering to 39"wide at the foot. Length 79".